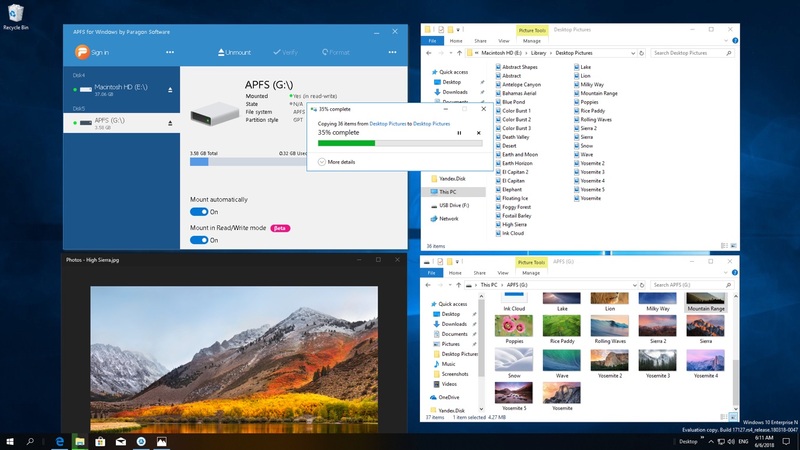 Paragon、macOS MojaveでAPFS化されるFusion DriveをサポートしたWindows用ユーティリティ「APFS for Windows」を公開。 | AAPL Ch. 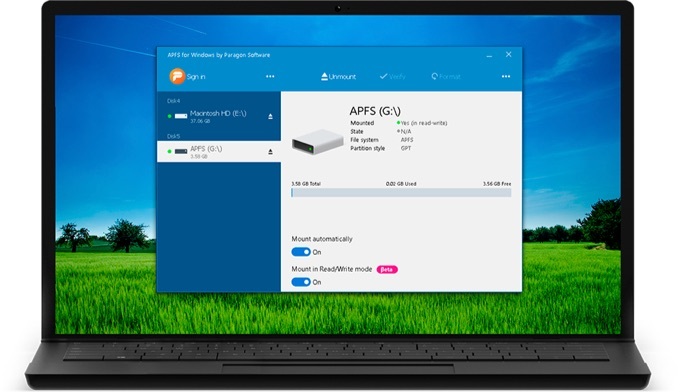 APFS for Windows by Paragon Software Preview Edition — a driver which enables Windows users to access Apple File System (APFS) volumes on PCs, now with full support on Fusion Drives in macOS Mojave Preview. The revamped APFS for Windows comes with support for encrypted volumes and APFS Containers composed of multiple partitions.